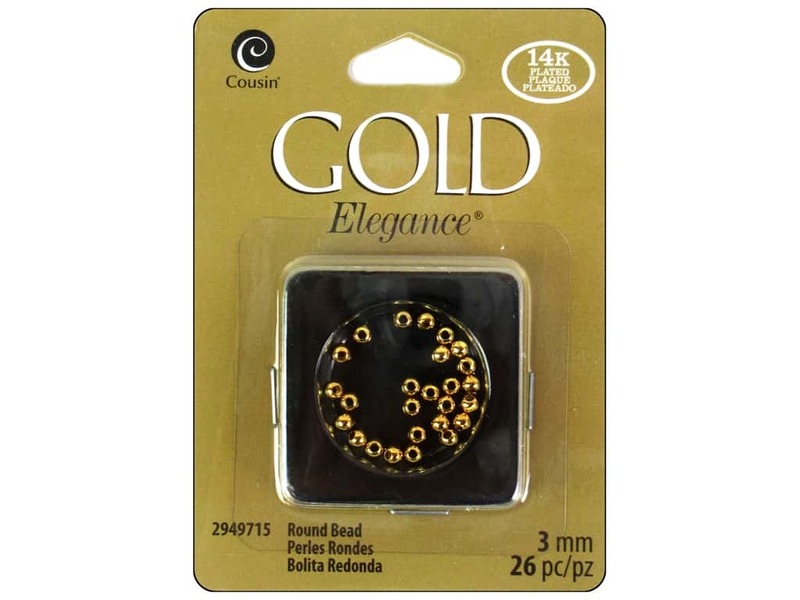 Description: Cousin Elegance Metal Round Beads are an essential part of any beaders stash. Use them as accents, foundation pieces or spacers in your jewelry or beading project. 3 mm (1/8 inch). 26 pc. 14K Gold Plate.